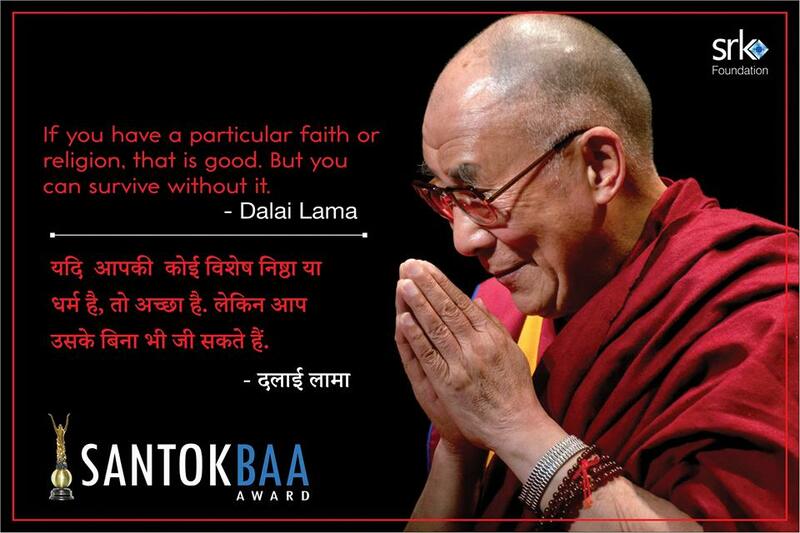 (TibetanReview.net, Dec30, 2014) – Tibet’s exiled spiritual leader, the Dalai Lama, is to visit Surat in the Indian state of Gujarat on Jan 2, 2015 to receive an award in recognition of his contribution to world peace, reported timesofindia.indiatimes.com Dec 29. The Santokbaa Manavratna Award will be presented to him by Gujarat governor OP Kohli. The award was instituted in 2007 by the SRK Foundation set up by Govind Dholakiya of the Shree Ramkrishna Exports. This will be the Dalai Lama first visit to Surat, known globally for its diamond polishing industry. We as surat,Really luckiest to experience the live presences of H.H. Shri Dalai Lama. Their contribution to peace will be remember for years and years.